Keller Williams is always out helping our communities to grow and prosper. However, RED Day is specifically geared toward the message of “Renew, Energize and Donate”. 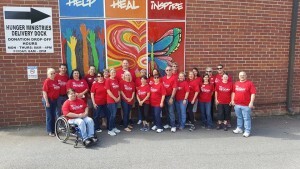 It is Keller Williams Day of Service to the local neighborhoods we serve to commemorate Mo Anderson. In order to assist the organization, Keller Williams of the Western Upstate came together to help with their food pantry. There are many people in and around our community that, for one reason or another, have fallen on hard times and need food. Today’s purpose was to count and stock canned and packaged food that Anderson Interfaith Ministries plans to donate to people in our community who need it. It is the least we can do to help everyone in our neighborhood. 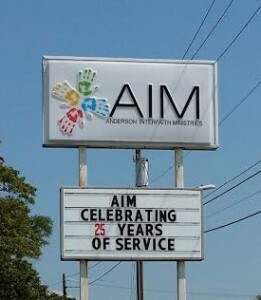 The staff at AIM are very helpful and are willing to help out any way they can. The Powell Group encourages everyone to go out into your community to assist people who may need it. While out in the community, you can also help others find the home of their dreams by directing them to our website. Our team members are here to answer all of your housing questions or concerns.